Glamping – camping in style. TwistUp! 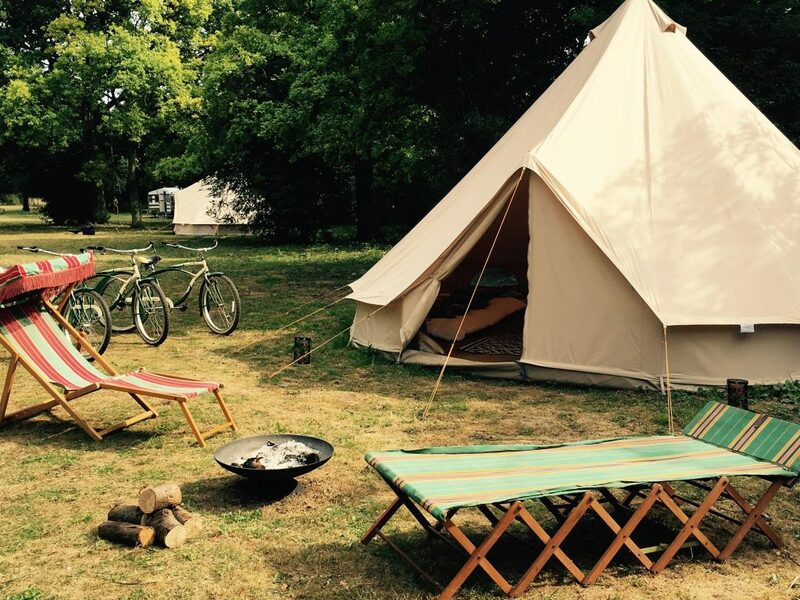 Glamping Oak Lodge is situated in beautiful Norfolk countryside near Thetford forest. We offer accommodation in bell tents and glamorous gypsy caravans. It’s perfect for people who want the outdoors and back-to basics experience but don’t fancy pitching their own tent. With us, you will get pre-erected bell tents with comfortable real mattress beds and homely décor. The tents are pitched in among the trees on level ground and each tent has its own camping table, chairs and firepit. We also provide a communal kitchen and luxury shower/toilet unit. We do supply solar powered leisure batteries ample for light and charging devices but we encourage our glampers to enjoy the simple pleasures of campfires and outdoor lights. We supply each bell tent with some complimentary logs for first camp fire, extra can be purchased on site. The gypsy caravans are also located in the forest in their own private spaces. Supplied with bedding and beautiful décor, you will still get the outdoors camping experience but with luxury and style. The campsite is 10 acres and away from a busy main road. Perfect place for adults to relax and unwind, for kids to explore and run around, for pets to enjoy.